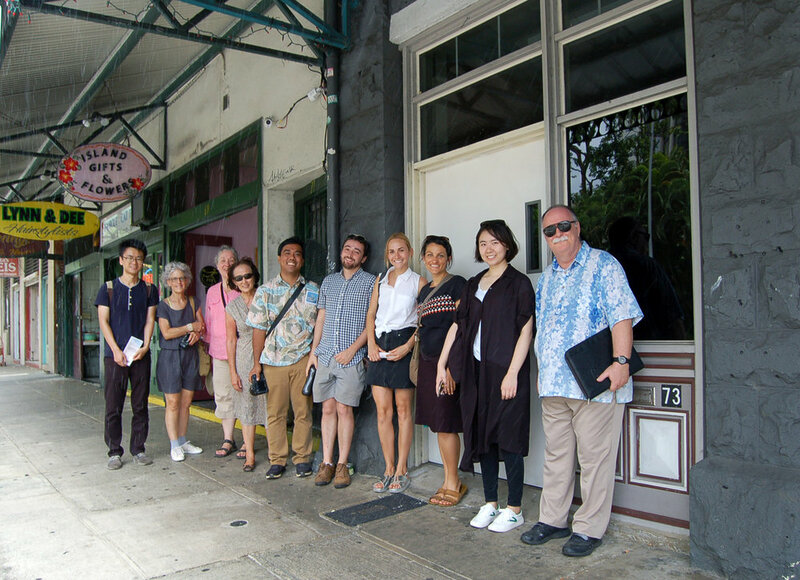 SHADE fellows Zach and Rhett lead a walking tour today from 9:30-1:20 of the Waipahu and Chinatown neighborhoods. Starting at the Waipahu Festival Market, individuals experienced Hawaii's Plantation Village, rail station progress, and the Waipio Access Road. Afterwards, the crowd met in the Chinatown Cultural Plaza, as shown in the routes.